The terms of this agreement shall be observed in the Local Government Undertaking in the Republic of South Africa by all employers and by all employees who fall within the scope of the SALGBC. Municipal Managers and those employees appointed as managers directly accountable to Municipal Managers in terms of Sections 56 and 57 of the Municipal Systems Act 32, of 2000, as amended, shall be excluded from all the terms of this collective agreement. 3.1 Notwithstanding the date of signature, this agreement shall come into operation in respect of the Parties to the agreement on 1 July 2015, and shall remain in force until 30 June 2018. 3.2 This agreement shall come into operation in respect of non-parties on a date to be determined by the Minister of Labour, and shall remain in force until 30 June 2018. 4.4 Provide for an investigation into the Local Government Housing Challenges and best practice approaches to introduction of Housing Allowance to Local Government employees. 4.5 To promote service delivery and good for all through a “Service Charter” for the Local Government Sector by agreement between the parties. All expressions used in this agreement, which are defined in the Labour Relations Act, 1995, as amended, (hereinafter referred to as “the Act”), shall bear the same meaning as in the Act, unless the contrary intention appears, words importing the masculine gender shall include the feminine. 6.1 In respect of this financial year, all employees covered by this agreement shall receive an increase of seven percent (7) with effect from 1 July 2015. 6.2 Subject to clause 6.3, in respect of this financial year, all employees covered by this agreement shall receive, with effect from 1 July 2016, an increase based on the average CPI percentage for the period 1 February 2015 until 31 January 2016, plus One percent (1,OO). 6.3 In the event that the average CPI percentage for the period as contemplated in clause 6.2 above is less than 5, the average CPI for this period will be deemed to be 5, and in the event that the average CPI for this period is above 10, the average CPI will be deemed to be 10. 6.4 Subject to clause 6.5, in respect of this financial year, all employees covered by this agreement shall receive, with effect from 1 July 2017, an increase based on the average CPI percentage for the period 1 February 2016 until 31 January 2017, plus one percent (1,00). 6.5 In the event that the average CPI for this period as contemplated in clause 6.4 above is less than 5, the average CPI for this period will be deemed to be 5 and in the event of the average CPI is above 10, the average CPI will be deemed to be 10. 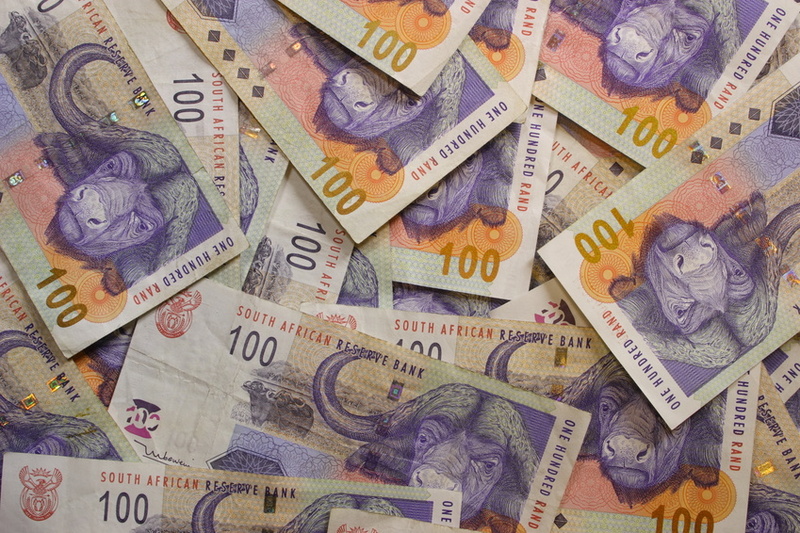 7.1 With effect from 1 July 2015, the minimum wage payable in the sector shall be R6 014.93 (Six Thousand and Fourteen Rands and Ninety Three Cents) per month. 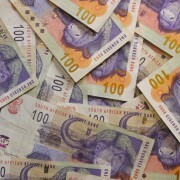 7.2 With effect from 1 July 2016 the minimum wage payable in the sector shall increase by the same percentage as determined in terms of clause 6.2 above. 7.3 With effect from 1 July 2017 the minimum wage payable in the sector shall increase by the same percentage as determined in terms of clause 6.4 above. 8.1.1 SALGA proposes that the local government sector must ensure the maximization of employee “access” to medical aid through retention of the current maximum employer contribution rate (R3 871) and the 60/40 principle as provided for in the Main Collective Agreement. 8.1.2 With effect from 1 July 2016 the employer contribution rate will increase by fifty percent (50) of the annual across the board increase. 8.1.3 With effect from 1 July 2017 the employer contribution rate will increase by 25 of the annual across the board increase. 8.1.4 Parties agree for the creation of a special purpose Medical Aid Benefit instrument that targets Low Income Earners. 8.1.5 In addition, the parties commit to monitoring the current initiative the National Health Minister is driving to introduce the National Health Insurance (NHI) in so far as it may be beneficial for employees in local government. • Retain the current maximum employer contribution towards defined contribution pension/ retirement funds capped at 18. • Ring fence the current DB funds and expedite the resolution of the financial risks and liability associated with the DB funds. • Finalise the rationalization of pension fund regime in the sector so as to reduce the number of funds and ensure financial sustainability and cost curtailment. 9.2 With effect from 1 July 2015, the current existing “funds” with an employer contribution which more than 18 will be “ring-fenced”. Furthermore, no further new entrants will be allowed in respect of the Defined Benefits (DB) Funds. • Affordability by the relevant municipalities. 10.2 The parties have agreed to conduct an investigation for the determination of the appropriate home owner allowance which will be accommodative of the employees that constitute the “gap market” within the local government sector. 10.3 In respect of the provisions of Part B, paragraph 1.1 of the Main Collective Agreement, the current home owner allowance will be R700.00 per month with effect from 1 July 2015. This amount will increase with effect from 1 July 2016 and 1 July 2017 respectively by the average CPI percentage for the period 1 February until 31 January. 10.4.1 In respect of those employees earning below R8000.00 per month, after the implementation of this agreement, and who do not participate in the current or any other Home Owners Allowance Scheme a non-pensionable allowance of R350.00 per month will be paid with effect from 1 July 2015, provided that there is only one benefit per household and subject to the “Requirements for Accessing the Housing Subsidy” as provided for by the Main Collective Agreement, and 1 FOR THE PURPOSE OF THIS PROPOSAL “THE GAP MARKET” IS IN RESPECT OF EMPLOYEES EARNING BELOW R8000 PER MONTH. 10.4.2 The provisions provided under paragraph 10.4.1 above will terminate once this agreement expires or in the event of the investigation proposed in paragraph 10.2 above concluding a housing dispensation which is more beneficial. The parties acknowledge the need for a Service Charter for the Local Government sector and hereby express their commitment to conclude such a Charter at the Executive Committee level of the SALGBC as urgently as possible. In the event of the parties not accepting this facilitator’s proposal, parties will revert to their respective positions as at 28 May 2015. Parties will have until Friday, 24 July 2015 (12hOO) to seek whatever mandates would be required and confirm their acceptance or otherwise of the facilitator’s proposal. Extensive consultation will be taking place with all members to obtain our mandate.